Nancy Borlase was born in Taihape, New Zealand and in 1932 had joined the sketch club of Rita Angus and Alfred Cook in Napier. Borlase's association with Angus; who would become known as one of New Zealand's key modernist painters, encouraged the bourgeoning artist's determination to become a painter. She studied at Canterbury College of Art, Christchurch before moving to Sydney in 1937 and enrolling at East Sydney Technical College. Borlase initially enrolled in sculpture, but after a period of also working with Rah Fizelle and Grace Crowley at their sketch club in George Street and joining the Contemporary Art Society, Borlase reoriented her attention to painting. The first significant decade of Borlase's practice was aesthetically connected to the principles of modern painting taught by Crowley and Fizelle, although her association with the CAS (which, as the artist claimed, privileged no one group of painters of theories) gave her the impetus to develop her own style. Notions of simplified form, unifying lyrical compositional structures of spatial and rhythmic harmony, are evident in Borlase's painting throughout the 1940s. An interest in a sculptural sense of solidity in her rendition of form was also retained as she developed her own distinct aesthetic. 'Old brick works, Ryde no II' is an exceptionally resolved work within the initial significant phase of Borlase's practice. The work demonstrates her interest in interpreting the industrial structures of Sydney's urban landscapes into lyrically cubic compositions. 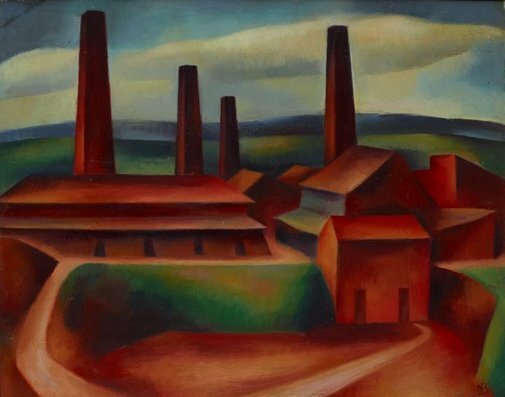 Her sweeping stylistic amalgamation of the forms of factories and surrounding landscapes is not unlike the work of earlier painter of the 'Sydney modern' period, Dorrit Black. 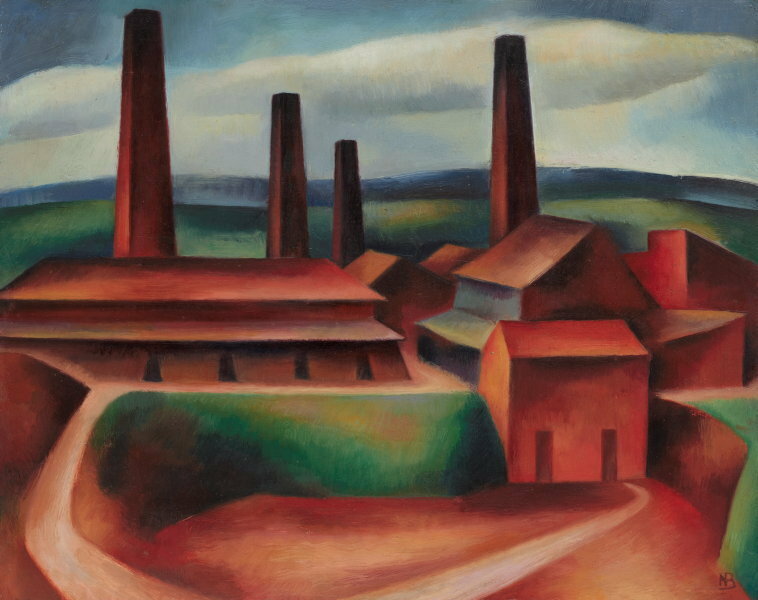 With a composition balancing both volumetric and rhythmic form; ochre and terre verte hues; elements of the industrial and natural landscape, and patterns of light and shaded tones, the work demonstrates the emphasis on a unified aesthetic order with which Borlase was making an impact on the Sydney art scene in the 1940s. Signed l.r., red/brown oil "NB [monogram]". Not dated.